In this Walk Wine experiences our goal is to make you aware of two of the most enigmatic Portugal wine regions, “Colares” and “Mafra”, along with delicious local traditional food and their intimate restaurants, and also the fabulous UNESCO Cultural Landscape of Sintra. 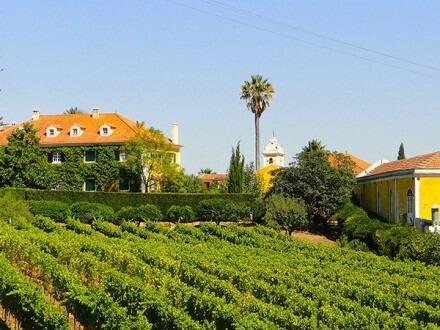 The Colares vineyards are located in the most western point of Europe. This temperamental wines from the Old World are produced from some of the most unique castes varieties, like Ramisco and Malvasia. Unusual deep sandy soils, where even the phylloxera bug couldn’t thrive and the strong influence from the Atlantic with its salty sea winds, give to this wines a strong savory sea notes, being also very fragrant, fresh and balanced. 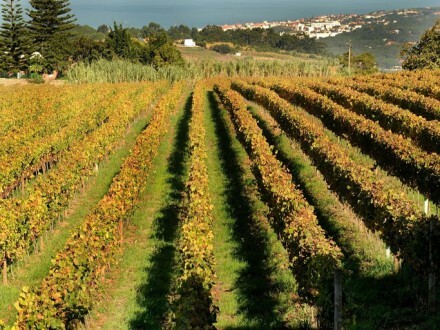 On the other hand, the wine region of Mafra, with its vineyards being located a little further from the coast, receiving an Atlantic micro-climate influence, which with its cool mornings and warm afternoons allow the production of unique wines from diverse castes such as the one produced exclusively from Jampal caste. These two regions of small producers has two characteristics more, that make them unique besides its location, its age, with centenary pre-phylloxera vines, some of the oldest in Portugal, and the fact that this is a land where the grapes are still hand-harvested, that allows us to offer the most authentic and genuine experiences. DISCOUNT: If booking until the 31st of March of 2019 we will offer a 5% discount over the table price per participant.